As an artist people usually expect me to be messy and disorganized and I’m almost expected to miss my deadlines. Now I will be the first person to tell you I am messy, especially when I’m working, I regularly drive my husband crazy by leaving my stuff all around the house. But when it comes to my business as an artist I happen to be very organized and punctual. That’s why this whole book thing has been extremely stressful for me. I’ve been lucky that I’ve been able to do most of the work myself but unfortunately the production of a book is outside of my field of expertise, just a bit. This means that I have to work with a third party and that’s where the stress comes in. Because up until now I’ve had everything in hand, if something went wrong I would be able to do something about it right away. Now however, I have to wait for someone else to fix it for me. My book has been at the printer for almost a month now, I was nice and early and had all my files ready and checked. The first proof came back soon and that’’s when things started to get stressful. I wasn’t quite happy with the colours and the choice of paper so after some back and forth we decided to change the format an go for a 9”x9” hardcover instead. They would do some colour tests and everything would be perfect. A different format however, makes for a longer production time and with the colours not being that great I still felt like I needed another hard-copy proof to ensure the quality was up to par. I am still waiting for that proof, time is ticking away and the show is coming closer and closer. Now I’m not saying anything bad about the printer, they are working very hard to make the book the best it can be and I greatly appreciate that. But I’m not used to working with a third party and the waiting makes me all kinds of crazy. The fact that it’s out of my hands and there’s nothing I can do to speed up the process is very frustrating to me. Fall has started, mother nature has started changing her palette from greens to yellows, ranges and browns and although the days are still beautiful the time for working barefoot in the studio in shorts has passed. I do love this time of year though, especially the early days of fall, when the leafs have just started to turn but the skies are still blue and the air is crisp and fresh. It’s invigorating! Tomorrow one of my pieces will once again be available for sale on Artbomb. This daily art auction, now also available in New York, brightens your day with new artwork and offers some great purchasing opportunities. They feature a couple of different artists each day of the week, even Sunday! The last weekend of September also brings us the Cultural Days (Journeés de la Culture), September 27, 28 and 29. Viva Vida Art Gallery will have a special exhibit for the occasion, with a festive vernissage this Friday (September 27) from 7-9 pm. On Saturday and Sunday the gallery will be filled with fun events and hands on demo’s. I’ll be there on Saturday doing some hands on direct transfers, so if you’d like to get your hands dirty please come by to give it a try! It’s a great opportunity to see artists at work and to try your hand at different creative techniques next to direct transfer there will be things like, jewellery making, water colors, acrylic painting and sculpture. There will be a host of creative activities throughout Pointe Claire village on both Saturday and Sunday so mark you calendars for a weekend of art and creativity! Preparations for my upcoming solo show (October 25 - November 7) at Viva Vida Art Gallery are in full swing. The press release is almost ready to be sent out, invitations have been printed and will be on their way soon. There are so many things to take care of before a show and for this one in particular since it will double as a book launch. I’ve been spending most of my days behind the computer taking care of the graphic design elements, things like invitations, posters but also the layout for the press release and accompanying letters. Little things like price lists and order forms all take time to put together. Luckily I had an early start so everything should be done before the show. 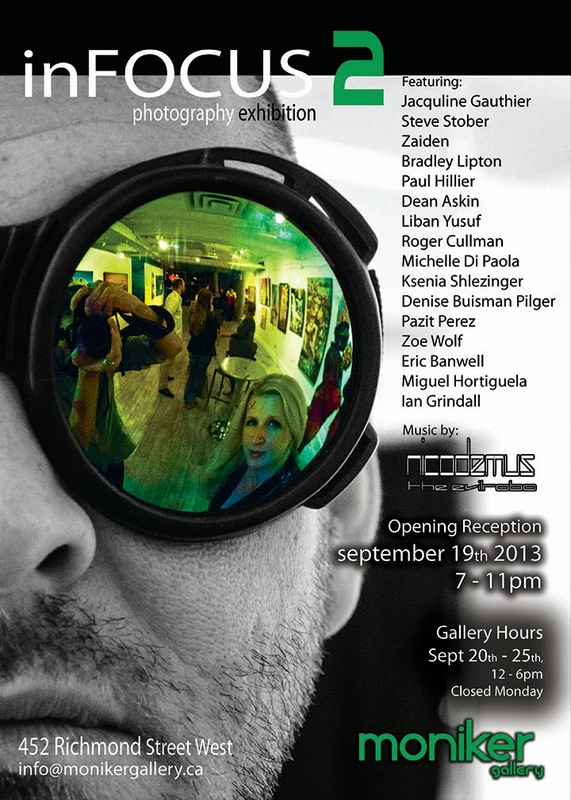 On Thursday the inFOCUS Photography Exhibit will open at Moniker Gallery in Toronto, the opening reception will be from 7-11 pm two pieces of the ‘Journey’ series (a collaboration between Visual artist Denise Buisman Pilger and Photographer Pazit Perez) will be part of the show which will run until September 25. Another thing coming up are the Cultural Days (Journeés de la Culture), September 27, 28 and 29. Viva Vida Art Gallery will have a special exhibit for the occasion, with a festive vernissage on the Friday (September 27) from 7-9 pm. On Saturday and Sunday the gallery will be filled with fun events and hands on demo’s. It’s a great opportunity to see artists at work and to try your hand at different creative techniques like direct transfer, jewellery making, acrylic painting and sculpture. There will be a host of creative activities throughout Pointe Claire village so mark you calendars for a weekend of art and creativity! Lots of things have been happening here, the book has finally been sent to the printer, we’re now waiting for the digital and physical proofs before giving the go ahead for the final product. For the Giclee prints we’re still waiting on one more proof before they can go into production as well. Everything is coming together! 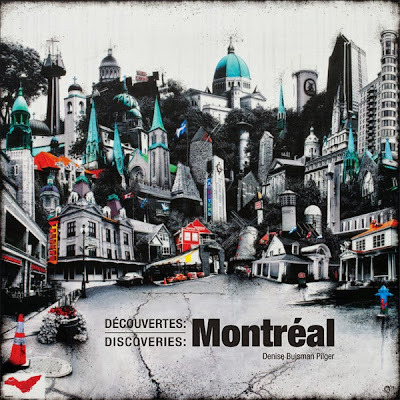 On October 25th, 2013 ‘Discoveries: Montreal’ will finally be show to the public, the vernissage for the show, which will be held at Viva Vida Art Gallery on October 25 from 7-10 pm, will also mark the launch of the book on the same series. The show will run from October 25 - November 7. Viva Vida Art Gallery is located on 278-2 Lakeshore Road, Pointe-Claire, Quebec. For more information please visit the news page. The book is almost done! All the texts have been edited, proofread and translated, the images have been colour corrected, the design is finished and arrangements with the printer have been made. At this point the only thing we are waiting for is the ISBN number, which will hopefully come in by the end of the week, then the files will be off to the printer! The order for the giclee prints has been sent out as well, I’m waiting for the proofs which should come in this week. As soon as they are approved the production on those will start as well! 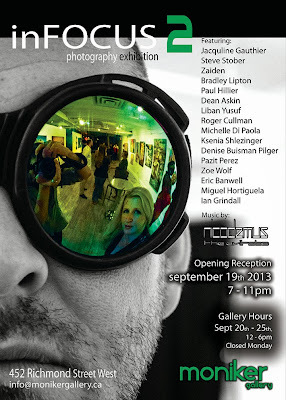 I’m currently in the process of finalizing the location for the show, which as of now, is still planned for the fall. The show will also function as the official launch of the book so the vernissage will be quite a party! :) The preparations will keep me nice and busy for the next few weeks but I’ll try to plan a couple of studio days just to get some things going. I would like to get started on some of the experiments I’ve been holding off on until the previous series was finished. I think it is about time to take some time to do something new. It will be scary but also a lot of fun! and I’m really looking forward to working in the studio without a set plan. Today is going to be one of those studio days, as soon as I’ve finished this post I’ll head into the studio and start throwing paint around, as a matter of fact, I think I’m going to do that right now, l8er!